In your search for copiers Raleigh and anywhere in the Triangle, there are many considerations like which brand, service, quality, convenience, productivity, and reliability just to name a few. Whether you are researching information on a desktop copier, color copier, office copier, or production system we will answer your questions and provide you with the information you need to make an informed decision. For over 26 years Accent Imaging has provided each of our clients with special attention. We have a dedicated team of knowledgeable professionals here to listen to and answer your questions, thoughts and concerns. We are authorized for sales and service on a wide variety of products from names like Xerox, Canon, HP, Oce and KIP that allows us to provide more than just one brand, but a true solution. We offer extreamly competitive leasing rates and programs that will fit any budget. Many of our clients like to use the Internet to communicate. In today's business environment electronic mail has become a resource to get information quickly. You may call us at (919) 782-3332 and get a live person. If you wish to communicate with us via e-mail just drop us a line below and expect a response right away. 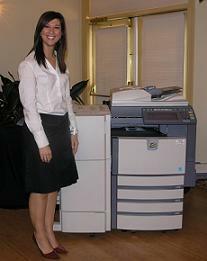 Visit our copiers Raleigh home page here. If you wish to get a competitive quote online, give us a little info about what you are looking for and we will get you few competitive equipment options to consider. We look forward to hearing from you and thank you for your time and consideration.